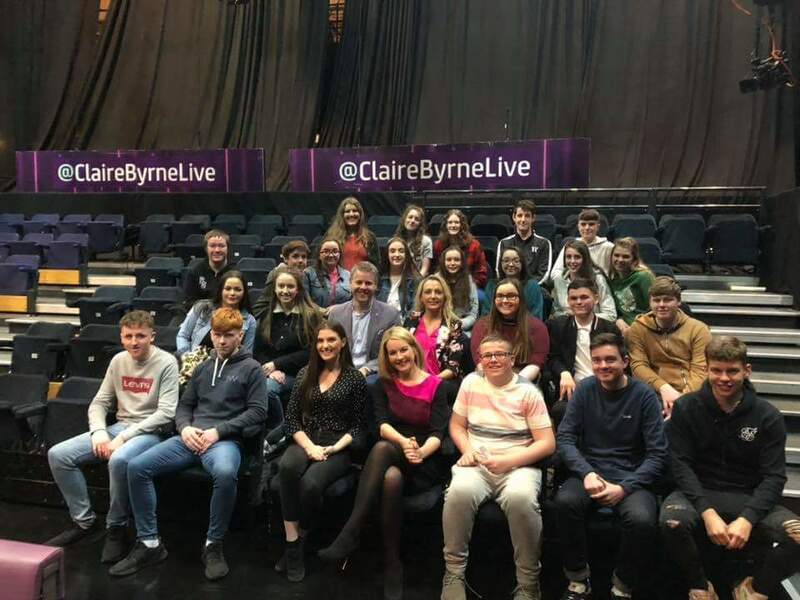 I had a fantastic opportunity to attend the Claire Byrne Live Show at the RTE Studios on the 1st October with TY, 5th and 6th years accompanied by Ms. Sweeney and Mr McCaul. We embarked on our excursion at 6pm that day and arrived at the studio, situated in Donnybrook, Dublin at 8.30pm. We darted straight for the entrance door and waited in the foyer for directions to the studio. We were guided into a room adjacent from the studio where we filled out our ticket application which included our name and whether we were affiliated to any political group. Following this we received refreshments while other guests filtered into the room. We were ushered into a modest studio adorned with cannon- sized cameras, contemporary background lighting, a projector screen to display the topic of discussion and a selection of specified seats for the audience and guest speakers. The luminous, incandescent dazzling lights above illuminated the studio. It felt like we were chicks in an incubator. 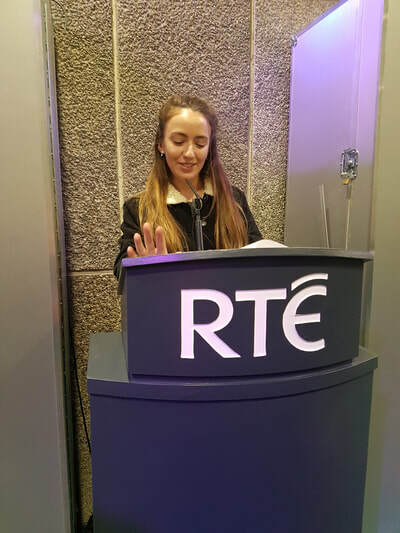 We were introduced to the host, Claire Byrne before the show commenced. She is a competent, charismatic character who handles her interviews with compassion and conviction. The lighting dimmed and the countdown began, 5, 4, 3, 2, 1 and we were rolling. 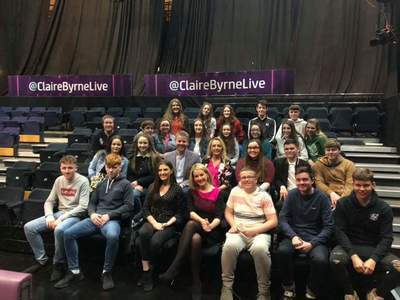 When the theme music for Claire Byrne Live finished she snapped instantly into action opening the show with a conclusive slogan of ‘Money, Motivation and Morals’. She informed her audience and viewers at home what could be expected from the show that night and the various topics that would be discussed. Firstly, Daniel McConnell challenged the point of why the incumbent Michael D. Higgins was looking for funding from the public when he was on a salary of €250,000 for the last 7 years and owned a mansion, paid for by the state. Brenda Power followed along with the same point that he was also claiming a pension of €19,000 from NUI Galway. She pursued with her issues regarding the incumbent Michael D. Higgins that 7 years ago he said he would run for one term and one term only. She also added when the President was asked at the Ploughing Championships whether he would run again, he did not commit to a definitive answer, giving him plenty of time to get ready in the race for the election. Brenda stated that this is the first election that she doesn’t want to vote for anyone. Kevin Doyle mentioned how other candidates were not attacking Michael D. Higgins for the way he carried out his presidency but for his age and finances. 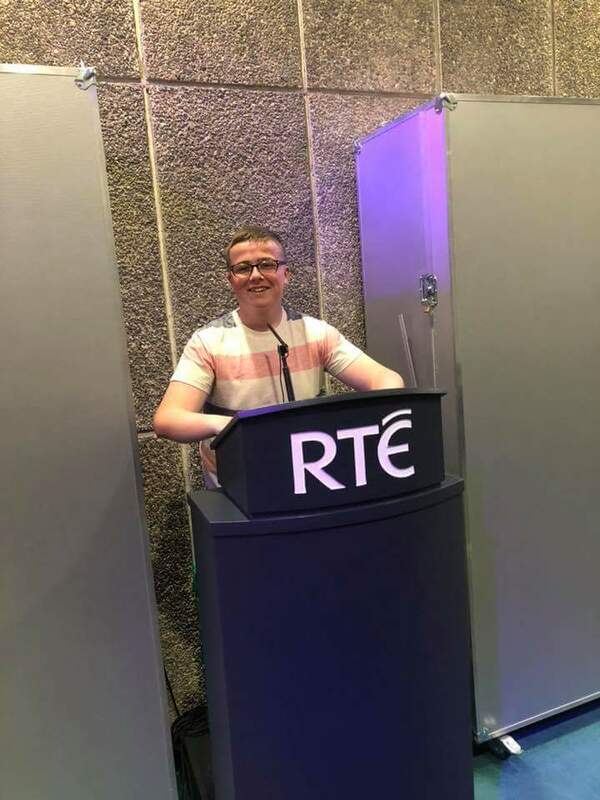 He also states that the polls are currently putting Michael D. Higgins ahead and in 2011 Seán Gallagher ran against Michael D. Higgins and Mary O’Rourke referred to him as the ‘Understudy in Chief’ of Michael D. Higgins. Kevin also spoke about another candidate running for presidency- Joan Freeman, an independent Senator. She borrowed €120,000 from her ex-boyfriend of 10 years ago- Des Walsh. She was insistent that this was a personal loan from her own personal funds as there was some question over his company. He went on to defend her, somewhat, as he feels she is the only candidate who has actually done anything for the country. Another candidate is outlined by Kevin Doyle explaining that Gavin Duffy is playing it safe, however his biggest problem is that he is not liked by the ordinary public. The topic culminated with Claire Byrne thanking her guests and, cued by the producer, a tumultuous applause rippled around the studio. Claire moved swiftly and smoothly into the consecutive topic which entailed the severe financial pressure exerted on cancer sufferers whilst they try to battle through their diagnosis and the issues that come along with this. 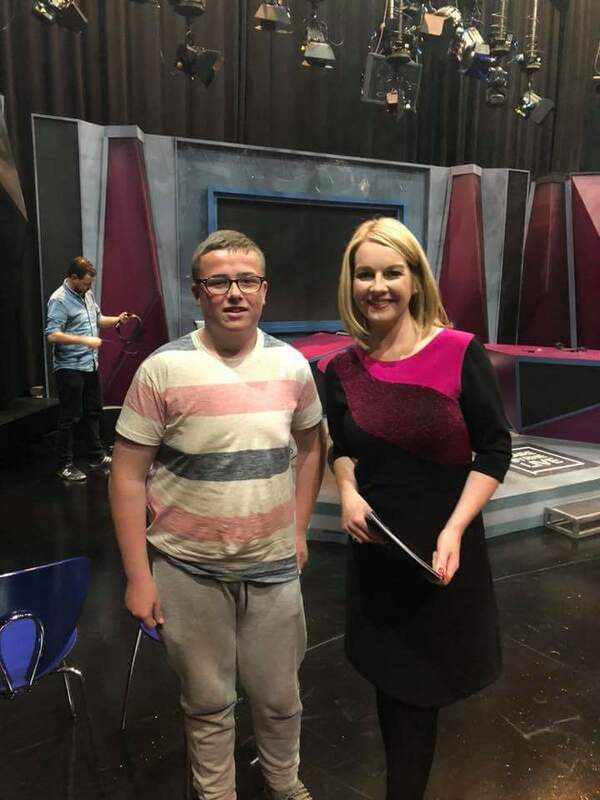 Claire Byrne enters the audience and introduces her next guest, Marie Moran who was diagnosed with breast cancer in 2016 while being 32 weeks pregnant. On top of this stressful time, she was hit with medical bills and fought endlessly for a medical card which she only received after the chemotherapy was over. With finance costing €80 a day for chemo sessions, something drastic had to change. Five thousand people have signed a petition to call on the Minister for Health for free inpatient care for cancer sufferers. Marie is now working with Paul Gordon from the Irish Cancer Society to try to get this solution inbuilt into the next budget. The next visual flashed up on screen which issued the next subject to be reviewed – puppy farming, abused dogs and illegal dog breeding. 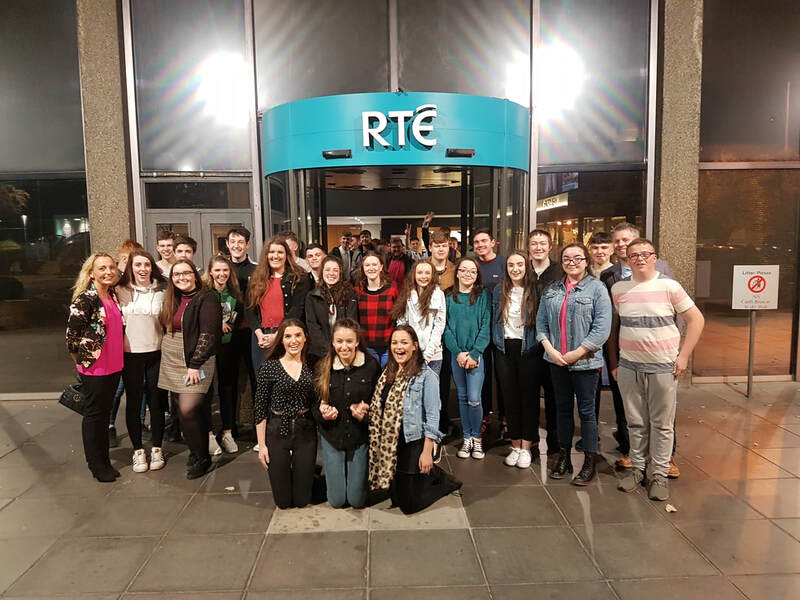 We were familiarised with the 3 panellists in connection with this topic- columnist and animal rights campaigner, Amanda Brunker, Minister of State, Seán Kyne and Brian Gillen of the DSPCA. In summary, it was felt that the government need to do more even though the Minister of State, Seán Kyne is in the process of introducing a new amendment to dog breeding legislation to combat puppy farming. After a commercial break, Shaneda Daly chatted candidly to Claire Byrne about confronting her father for abusing her for years. Following this heartbreaking story, a short film was played where Shay Healy gave an account of struggling through his illness of Parkinson’s disease and dealing with the death and loneliness of losing his life partner. This was a truly moving and thought-provoking piece and composition by Shay Healy. The final subject discussed was the question of why Brexit brings out the worst in British businesses. 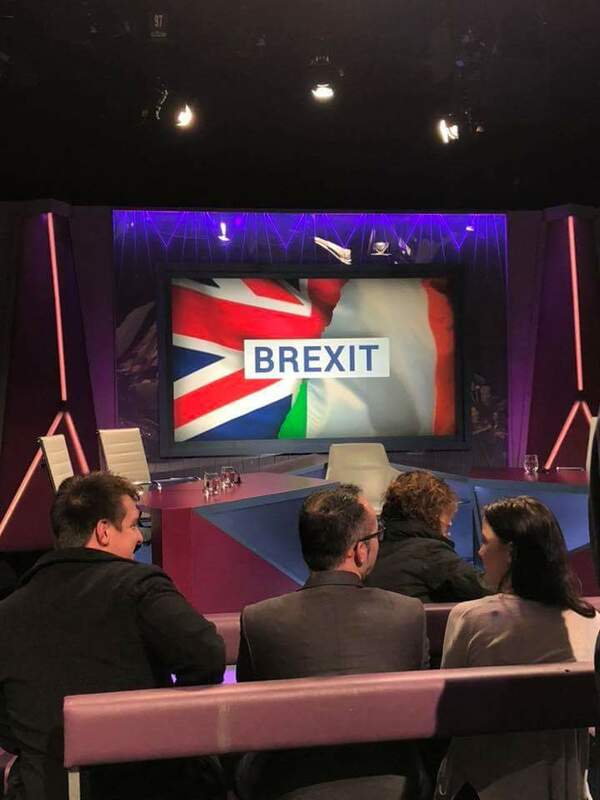 This was a very informative conversation as it gave people an insight into how Brexit would affect people living in the UK. Richard Corrigan, a chef from Co. Meath, gave an account of the impact Brexit would have on the country. He mentioned how very large, lucrative businesses had moved out of London and relocated to Amsterdam causing a domino effect whereby the remaining businesses, people and jobs have been radically affected. As patron of Corrigan’s Mayfair and Bentley’s Oyster Bar and Grill he was very forceful regarding Brexit. 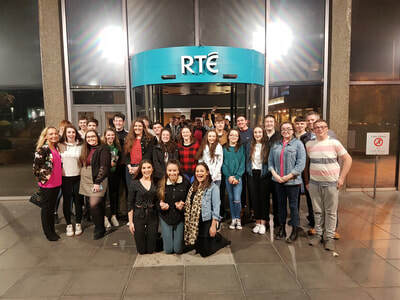 The show concluded and the audience departed, however we were given the opportunity, after the show to meet Claire Byrne so we waited eagerly and then quickly captured the memory, not just in the photo but in our minds and left the RTE studios. Like any consummate controversy chat show, Claire Byrne hooks her audience in with intrigue and it is a show I would highly recommend people go to see.